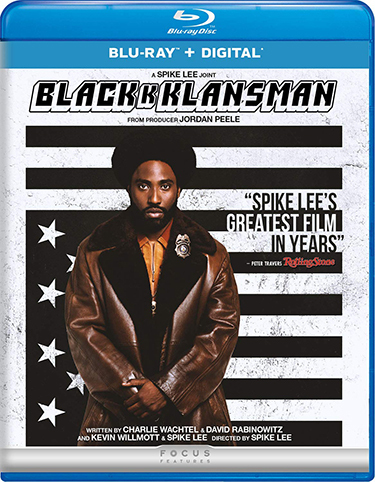 Follow the incredible true story of Ron Stallwortth, an African-American police officer who infiltrates the Ku Klux Klan in the unbelievably bold,BlacKkKlansman, arriving on Digital and the all-new digital move app MOVIES ANYWHERE on October 23, 2018 and on 4K Ultra HD, Blu-ray, DVD and On Demand on November 6, 2018 from Universal Pictures Home Entertainment. 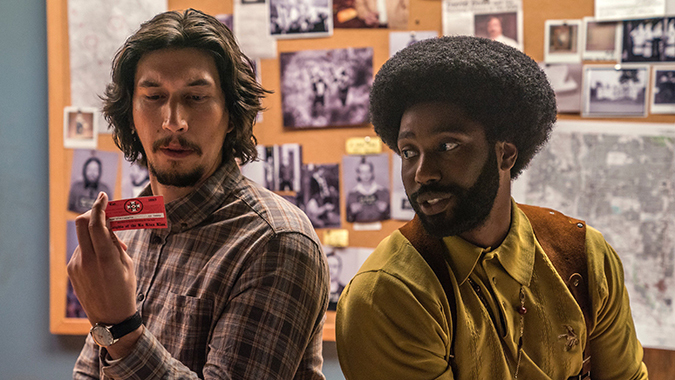 Hailed by critics as “hugely entertaining” (Stephanie Zacharek, Time) and “electric” (Eric Cohn, Indiewire), BlacKkKlansman comes from acclaimed producers Sean McKittrick (Get Out, Band Aid), Jason Blum (Get Out, Whiplash), Raymond Mansfield (Get Out, Band Aid), Jordan Peele (Get Out, “The Last O.G.”), Spike Lee (Malcolm X, “She’s Gotta Have It”), and Shaun Redick (Get Out, Band Aid). BlacKkKlansman will be available on 4K Ultra HD in a combo pack which includes 4K Ultra HD Blu-ray, Blu-ray and Digital. The 4K Ultra HD disc will include the same bonus features as the Blu-ray version, all in stunning 4K resolution.